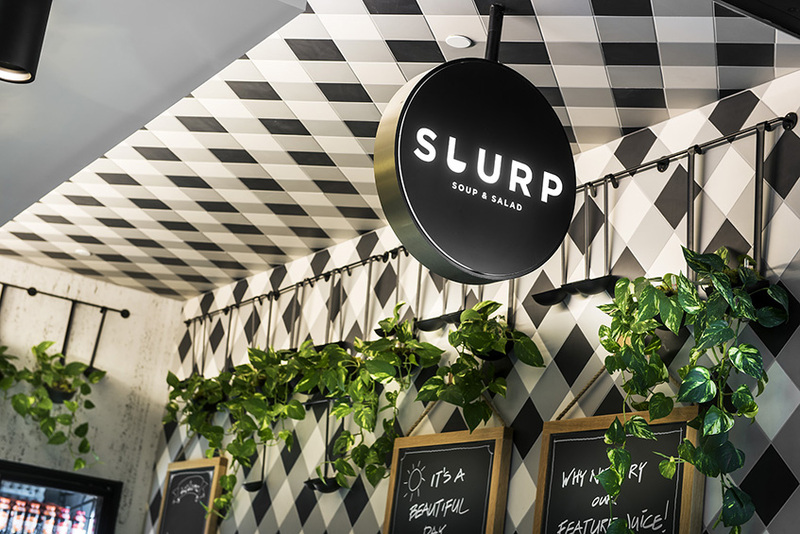 The brief for Slurp Soup was to create a fresh new identity for an upmarket soup kitchen predominantly catering to the work crowd. 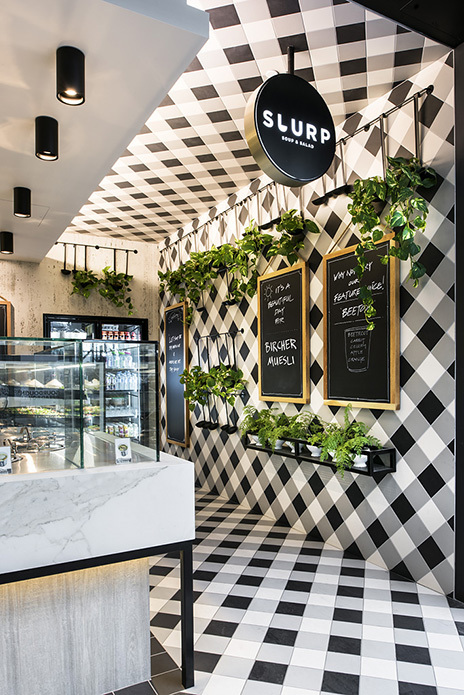 With a strong focus on ‘freshness’ the shop is monochromatic with a ladle green wall which lines 2 walls. 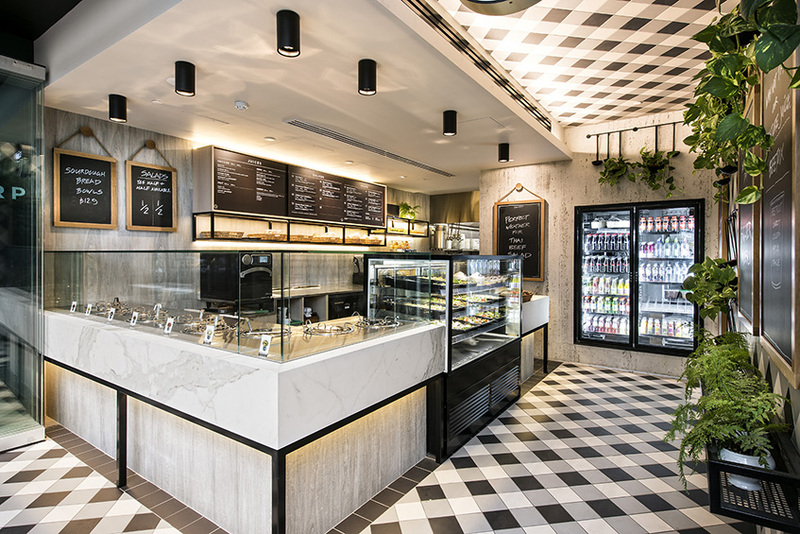 Reinventing a classic style checker board tile pattern, like that of a picnic blanket, from floor to wall to ceiling adds detail and patterning into the space. 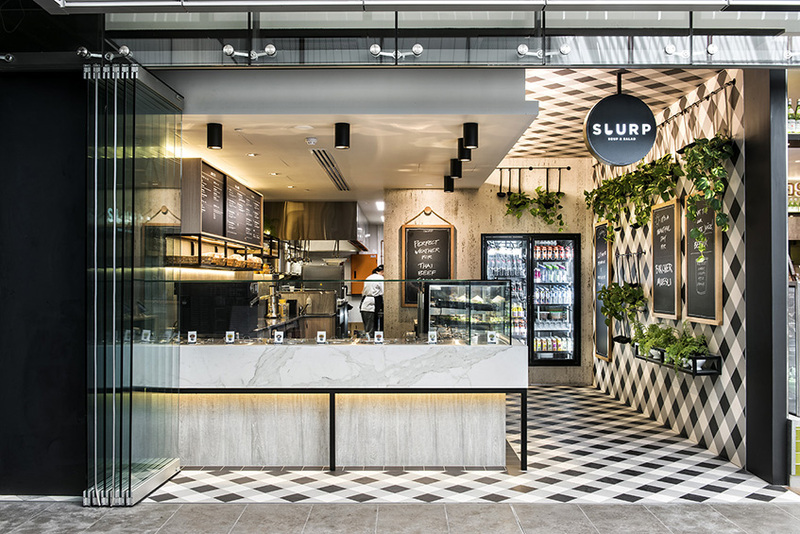 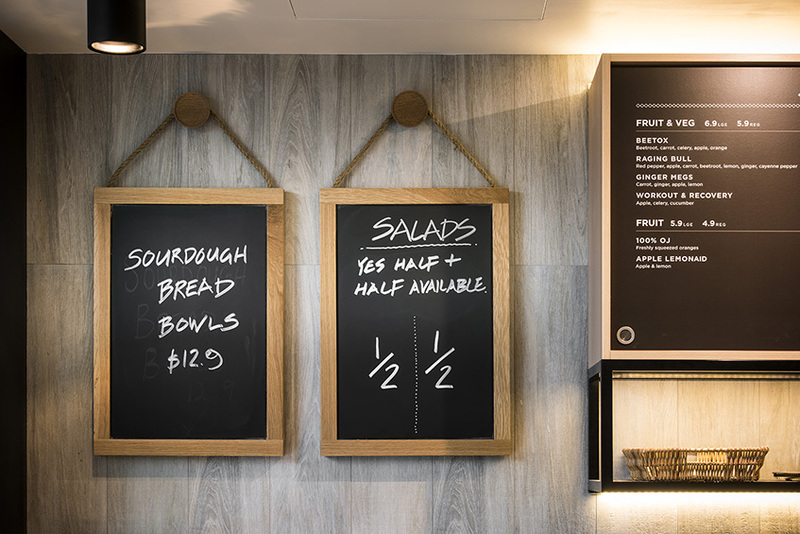 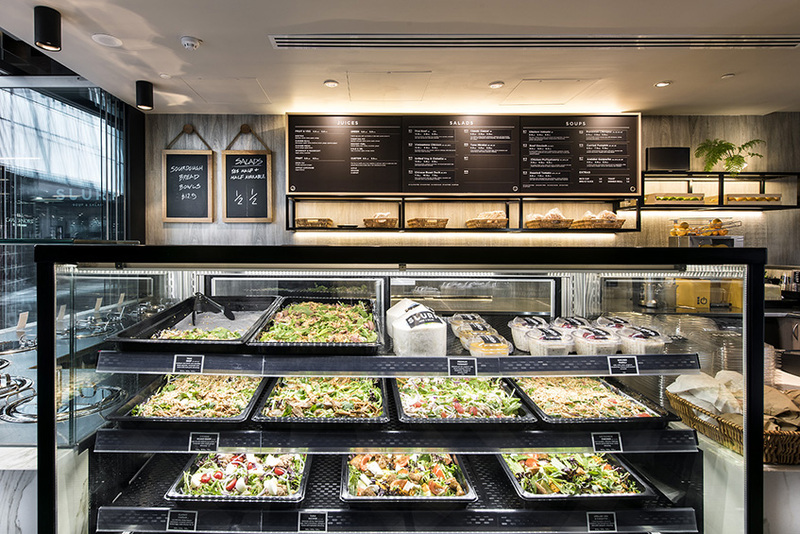 Feature menu chalk boards with solid oak timber frames and black steel frame cabinetry create a simple back drop that subtly references the home made food while still being modern and contemporary.